Many bail bondsmen have transitioned from cash-only to credit card-accepting businesses. Understand the risks of the industry and implement a payment solution that complements your objectives today. There’s no denying that bail bond merchants are considered high risk by the majority of financial institutions, banks and merchant service providers alike. The nature of the job leads to inconsistent revenue and investments that don’t always pay off. For example, someone might agree to pay a bail bond merchant with a credit card, get released from jail, fail to show up in court and never pay the bond bill. The bail bond merchant is left with an unpaid debt and little chance of collection. Though merchants in this category usually have insurance to avoid taking on full financial responsibility, their insurance rates will increase as these kinds of payouts do. An overall decline in individuals’ personal savings boosts the chance that bail bond merchants will rack up receivables that go uncollected for long periods of time—or indefinitely. According to Statista, individuals’ personal savings in 2017, on average, were less than half of what they were in 2015, and remain at an all-time low since 2007. 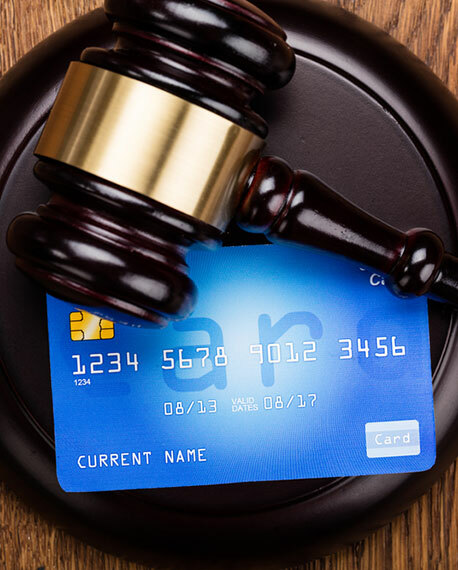 High cost of bail and “friendly fraud”—when a customer wins an unwarranted chargeback from a business after filing a false claim—are also pandemic in the industry. Contracts, receipts and other customer-signed documents should include clauses in plain language about business and return policies to protect the bail bond merchant from friendly fraud and excessive chargebacks. Having multiple customer signatures on file will increase the chance of successfully refuting chargeback claims. Confirming customer details with AVS and Card Verification Value (CVV) are also important measures merchants can take to help curb fraud. Our preferred payment gateway, Authorize.net, includes a built-in Advanced Fraud Detection Suite (AFDS) through which merchants can customize payment gateway filters, alerts and thresholds to detect suspicious payment attempts and confirm customer legitimacy. BankCard USA’s merchant account application is straightforward and quick to fill out. Our underwriters are experienced in the screening process to ensure bail bond businesses are abiding by industry laws and regulations and have a good history of paying outstanding bills. While a bail bond merchant following industry best practices would qualify for higher transaction volume caps, lower transaction rates and other account perks, we still partner with those that have struggled in the past and in most cases can remove the reserve implemented by other processors. Our high-risk experts can set you up with a specialized merchant account, even if you don’t have the best track record. Read about our options for MATCH List/TMF merchant accounts.